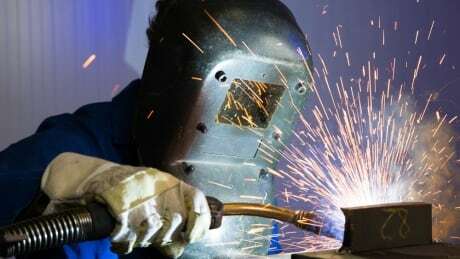 A Six Nations school has launched a new program to teach low-income women to weld. 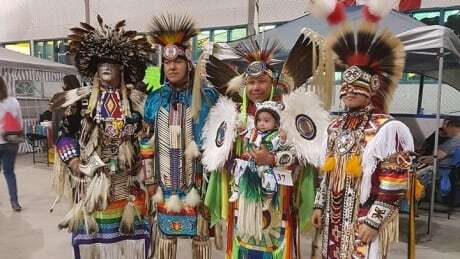 The powwow community in Saskatchewan is rallying around a baby who lost his mother less than two months ago. People marched from Victoria Island to Parliament Hill, demanding more be done to boost populations of the American Eel in the Ottawa River. 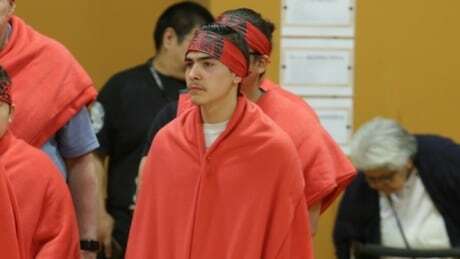 A pilot program in a high-crime area of northeast Saskatchewan is helping to prevent young people with violent tendencies from breaking the law. It's a process that dates back to Chief Lee Crowchild's ancestors, who would meet with leaders of tribes with whom they had battled — not to apologize for what had happened, but to validate the experiences on both sides. 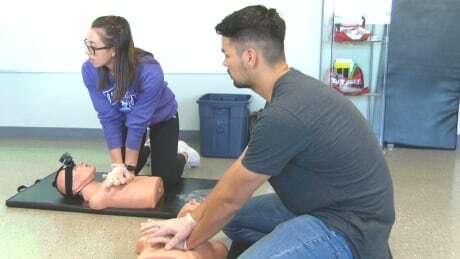 Five young Indigenous people from across Canada have been learning first aid and CPR in Ottawa. It's part of a pilot project aimed at spreading First Aid skills to Indigenous communities. The program is funded through private donations but organizers hope Ottawa will take notice. 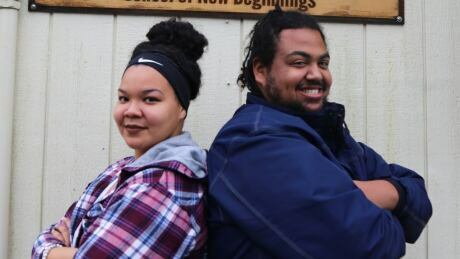 As fewer young people continue to speak Tlicho compared to people over 60, people from the Tlicho region gathered in Behchoko last week to brainstorm what they can do to boost people’s proficiency in the language. Indigenous politicians are lending their voice to Ontario's provincial elections, but some are saying they can't be pigeonholed into party platforms. The route of Kinder Morgan's controversial Trans Mountain pipeline runs from Edmonton to Vancouver. CBC's Nick Purdon and Leonardo Palleja traveled it and spoke to regular people who live beside the pipe about what's at stake for them and their communities. 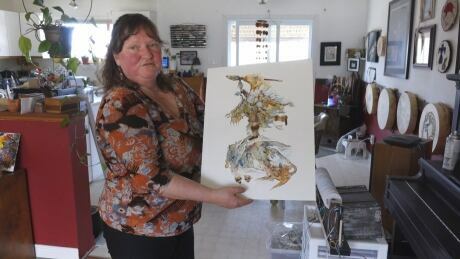 Thanks to the efforts of an Ottawa-area artist, a 16-year-old from a First Nation in Saskatchewan will be showcasing and selling her artwork at a gallery in Ottawa from June through December. Choosing a Lekwungen name for the newest library in the City of Victoria is part of the reconciliation work supported by Songhees and Esquimalt nations. However, debate continues over controversial street names and monuments. 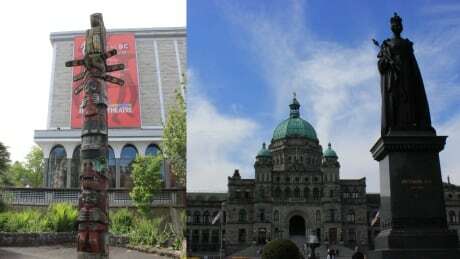 Cheryl Bryce felt that her nation was invisible in the city that is now called Victoria, located on Lekwungen territories. So, she set out to change that. Bryce founded the Colonial Reality Tour which educates people about the Indigenous significance of areas around the city. Steve Sxwithul'txw wants to see Indigenous talent honoured on the streets of Victoria. 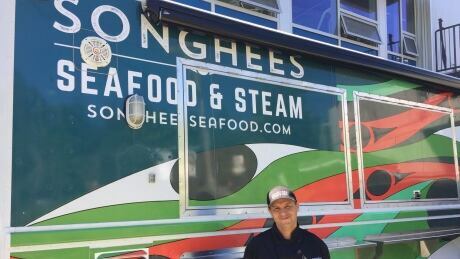 A new culinary arts program offered through the Songhees Nation is bringing traditional Indigenous recipes back into the kitchen. Language teachers from the Tsleil-Waututh Nations in B.C. find connecting with Indigenous language educators from neighbouring Sḵwx̱wú7mesh Nation, other Salish nations in the United States and even the Maori of New Zealand has benefited their programs. 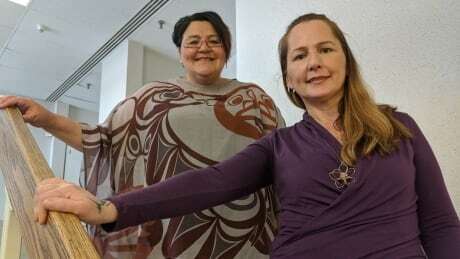 Across B.C., a number of health care professionals are using Indigenous languages to connect with patients. Wamblie Littlesky has wanted to be Miss Manito Ahbee since she was a little girl, and her dream came true on Saturday at the International Pow Wow when she was crowned. 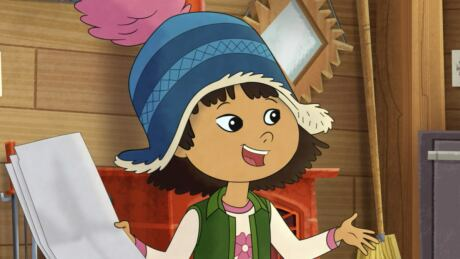 'The audience is four to eight-year-olds, but I have a sneaking suspicion that a lot of adults are going to be watching the series as well,' said the show's creative producer. 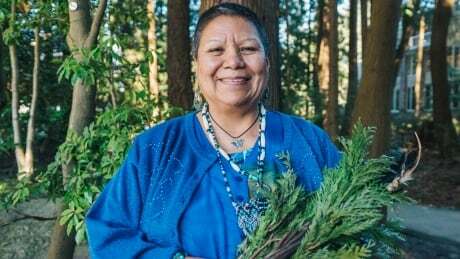 Seabird Island Community School's annual naming ceremony is part of an effort to provide students with an Stolo-centric education and to re-introduce traditional cultural practices that were lost due to the ongoing legacy of colonialism. 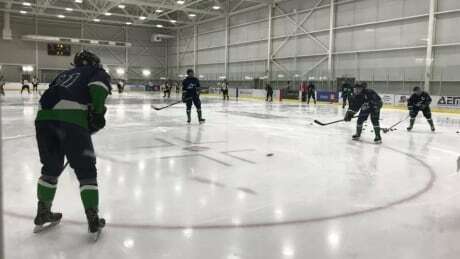 Whitehorse was announced this week as the host of next year's tournament. 'For it to actually happen, it’s such a big accomplishment for us,' an organizer said.